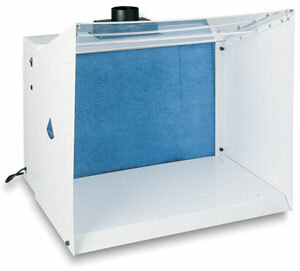 Powerful filtration system for workshops, studios to control fumes and overspray. 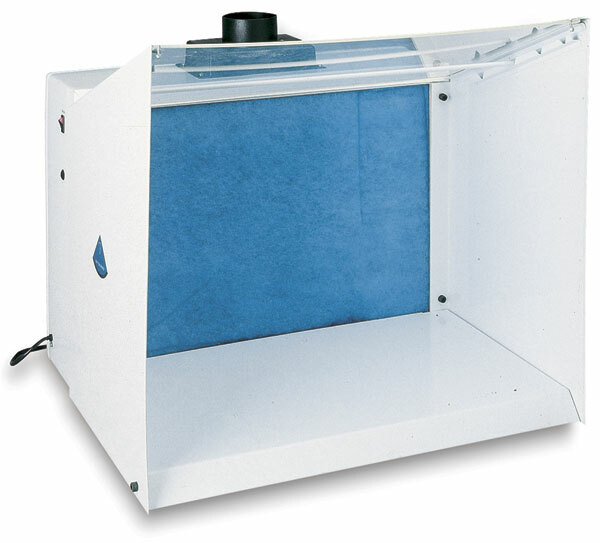 Uses centrifugal blower/motor with polyester intake filter to trap fine particulates. Dual-activated charcoal filter removes odors.Steel cabinet and clear cast acrylic top.